Indira Gandhi Open University is the largest Open University in the world. 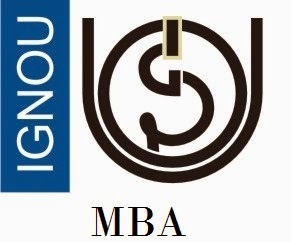 IGNOU offers Master of Business Administration courses to the students. The exam board had announced that they are inviting the candidates for IGNOU MBA Admission. Indira Gandhi Open University offers IGNOU MBA distance education and IGNOU MBA correspondence admission to the students. To know more details about IGNOU MBA Admission, let you can go and visit the official site of the exam board of IGNOU at www.ignou.ac.in. Indira Gandhi Open University provides MBA course through the Open Distance Learning Mode is called correspondence learning. The students who are seeking for MBA admission at ignou should read IGNOU MBA admission schedule in the official site or notification prospectus. The exam board will conduct the entrance exam to the students to recruit the skilled and talented candidates for MBA courses. The entrance exam for admission to various management programs including MBA in IGNOU. The exam board of IGNOU will be conducted two times every year. The entrance exam is called OPENMAT for Management programs. The students who have qualified for OPENMAT can eligible to get the MBA admission at IGNOU. The exam board will provide the complete information about IGNOU MBA Admission at the exam board official site or IGNOU MBA Admission broucher. There are 21 courses are available in the MBA programs of IGNOU. IGNOU Admission MBA fee is 31500 for entire program. The admission form fee for Rs. 1500 per course will be paid through a Bank Draft obtained in any bank in the favor of IGNOU. IGNOU MBA admission requirements will be given in IGNOU MBA admission broucher. The exam board will be provided the fees structure information in the notification prospectus. The students can able to view the fees structure from the official site. The students should pay the application fees and admission fees before the last submission date otherwise, the exam board will be rejected the students from the admission process. The exam board will issue the last date for applying OPENMAT XLII on 21st August 2017 and OPENMAT XLIII on 15th December 2017. The students can appear any one of OPENMAT entrance exam. The exam board will be conducted the entrance exam in the specific date which mention in the official site. 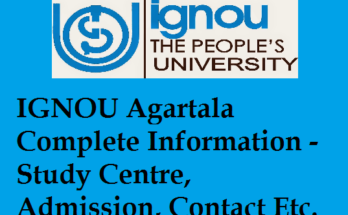 The exam board will be provided IGNOU Admission MBA application form in the official site. The students should register in the registration form. Before going to apply in the application form, the students should read the instructions carefully. The students should open the official site of the exam board and login to the system using username and password to the students. The exam board will be provided the exam application form in PDF format. The students should provide their communicational details, personal details and education details in the application form. The students should select the description box in the application form. After that, the students should pay the application fees through net banking, credit card and debit card. The students should upload the scanned photo and scanned signature in the desired format. After filling the application process, the students should verify all detail before submitting the application form. The students should click ok button to submit the application form. After submitting the application form, the students can download the application form from the official site. The students who are going to apply for IGNOU MBA Admission should possess IGNOU MBA Admission criteria which given by the notification prospectus. The exam board will be provided the educational qualification to the students in the official site. Only eligible candidates should be applied for IGNOU MBA Application form. If the students who not satisfy the eligible criteria demanded by the exam board, then they will be rejected from the application form. Following things should be considered while applying for IGNOU MBA Admission 2018. The aspirants should have possessed graduated in any discipline with 50% marks in any recognized board. The aspirants should have possessed bachelors’ degree minimum 3 years and 2 years for Bachelor’s degree from the recognized university. Age Restrictions: There are no age restrictions for admission to IGNOU’s management programs. You Should be a graduate in any discipline and must have 50% marks for graduation if you are from general category. However, if you belong to the reserved category, then you need to have only 45% marks for graduation. 3 Years managerial or supervisory experience is also required (Experience after graduation) OR You should have a professional degree in Medicine/Engineering/Accountancy/Cost and Works Accountancy/Law/Company Secretaryship. You should also have 50% marks for the degree. Qualify in Entrance Test: You should be qualified in OPENMAT management aptitude test conducted by IGNOU for admission to management programs. Are you from a country (nationality) other than India? You must have a valid student Visa for the duration of the course. You will need a clearance from the Ministry of External Affairs/ Human Resource Development Ministry. 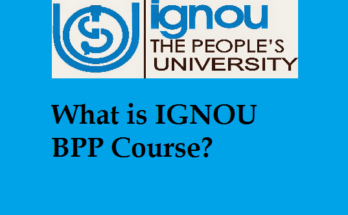 This procedure will be carried out by the International Division of IGNOU. The exam board will be offered Indira Gandhi National Open University MBA Application form online in the official site. Before going to apply, the students should read the instructions carefully which is given in the notification prospectus. 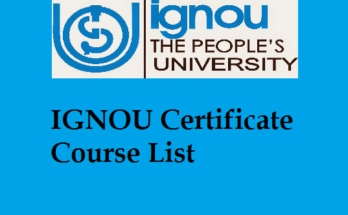 The students should verify Ignou MBA admission qualification in the notification. The students should have passed 50% marks in undergraduate programs from any recognized university. The students should provide their communication details, personal details and educational details in MBA Application form. The students should be advisable to submit the application form before the last submission date. The exam board will be provided the start and last date of the application form in the official site. The students can pay the application fees amount through online. IGNOU MBA Admission details will be given in the IGNOU admission notification in the official site. The students should apply for the application through online. The students should be required to submit the Xerox copy of the documents with the application form. The students should submit the application form before the last submission date. The students should register their details before going to apply for the application form. In Registration process, the exam board will be issued username and password to the students. The students should login to the system by using username and password and apply for MBA Application form 2018. The exam board will be issued the exam admit card one week before the commencement of the exam. The exam board of IGNOU will be announced IGNOU university MBA admission to the students in the official site. The exam board will provide the complete details about Admission IGNOU MBA programs in the notification prospectus. The exam board will provide education qualification and admission criteria in the notification prospectus. The students can download their exam time table from the official site. The students should prepare well for the entrance exam. Based on the cut off marks, the students can be able to get IGNOU MBA Admission at IGNOU. IGNOU will be issued IGNOU readmission form in the official site of the exam board. The students who have dropped their education can apply for readmission form for joining IGNOU MBA readmission at IGNOU. The students should be prudent to provide their details in the application form. The exam board will also offer IGNOU part time MBA Admission to the students. The students who have interested to join part time MBA at IGNOU can apply for the part time MBA Admission form in the official site. The application form will be available at official site or regional study center. The students can download their exam admission form from the official site. The students should attend the entrance exam for getting IGNOU MBA Admission. We hope that you found something useful from the above reference. Thanking you for visiting our site and reading our post. We assure that we will provide more details in our latest updates in next to no time. I am lucky that I noticed this blog, precisely the right information that I was looking for!